Finding custom chairs that are both functional and aesthetically pleasing can be difficult. Not to mention finding good quality solid wood and upholstered chairs like ours. What makes the deal even better is that these chairs are American made and can be customized. 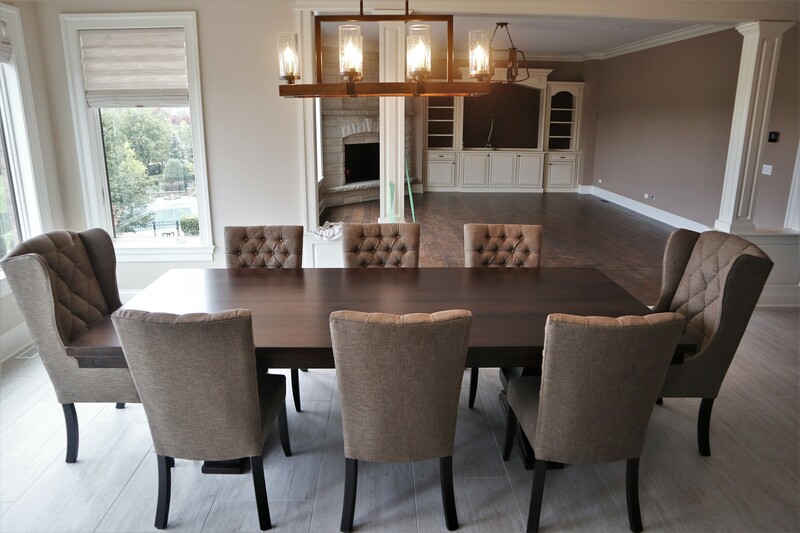 There’s nothing better than a custom table complemented by comfortable, sturdy chairs. All left to preference, there’s no one right way, but what works best for you and your family. This could be a combination of wood and upholstery. We offer over 100 different chair styles. Let’s delve in to see what styles are offered and how to capitalize the options. American made, solid, custom wood chairs are hard to compete with. Our wood chairs alone offer over seventy styles. This does not include the chairs that come with fabric seats and backs. To fully grasp what the options are, let’s start with wood species. The wood species used is dependent on the desired look of the table. 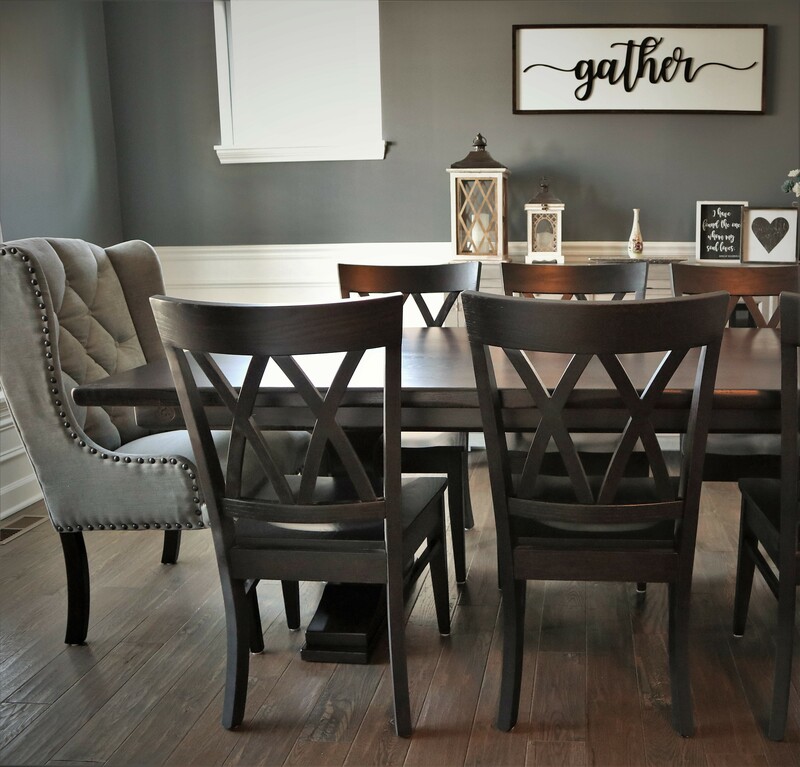 Whether or not the custom chairs will be an exact match, darker, or a different color than the table are all factored in. The wood species available are: red oak, brown soft maple, wormy soft maple, cherry, white quarter sawn, hard maple, walnut, elm, and hickory. Typically after wood species, stain color is chosen. The possibilities are almost endless as you can pick and choose what best fits your needs. These custom chairs are intended to last all while being comfortable. Take a look at past customer’s choices on integrating these chairs into their table setting. An added bonus is customers can send their own fabric if none of our choices suit you. It is a short and easy process. If you think of the all the options in combination you’ve got more variety and choices than you can count! Chairs are the icing on the cake when it comes to a well designed table. 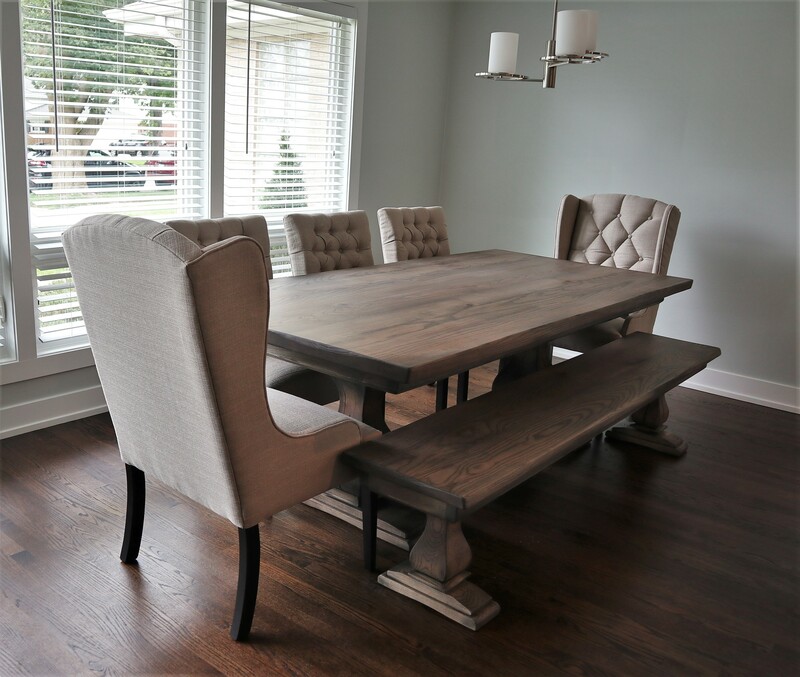 Why not match custom chairs that will last with a handcrafted table that will last a lifetime. 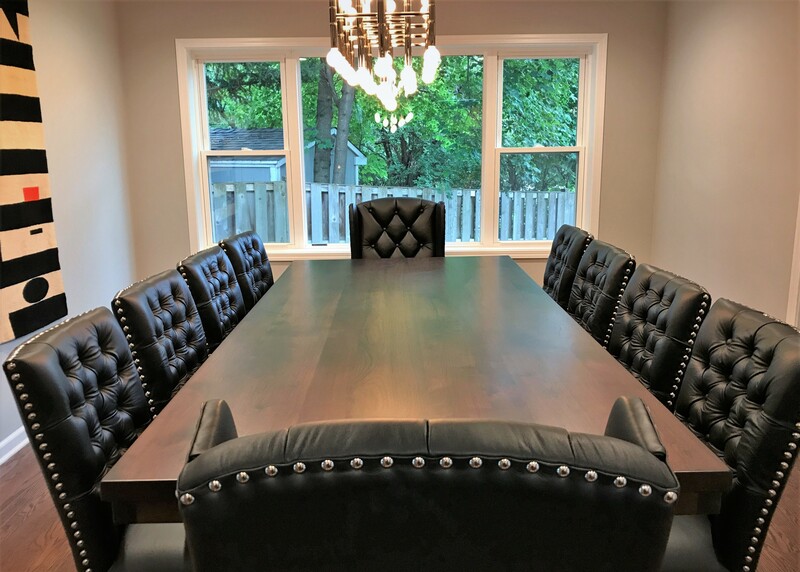 Need chairs, upholstered or solid wood, for your new dining set? Click to check out our chair options. Looking for a new solid wood table before the holidays arrive? We’ve got our current inventory ready to be bought and delivered!